Blockchain technology has emerged as a disruptive technology over the years and has the potential to serve as an alternative to traditional banking and payment systems. In addition, the world is moving towards cashless economy that has led to leveraging this technology. However, in the absence of adequate cyber security tools and techniques in place, the safety and integrity of the systems is not guaranteed and then there is no point in doing so. Therefore it becomes imperative to bring forth the role of Blockchain technology in transforming the HR landscape worldwide while addressing the concerns associated with the implementation of blockchain technology. Blockchain technology enables seamless transactions between two users of parties without the intervention of third party and further allows users to be more empowered as they are in direct control with their transactions. With blockchain technology, end-users can make or exchange data or cryptocurrencies as it creates a highly reliable and trustworthy platform for users that even does away with the need to trust third parties. Due to absence of central authority, the users become empowered as blocks are added in the Blockchain that contains their transaction records by using a cryptographic signature, known as hash. Other parties can look at blockchain information but cannot hinder the process, which is a win-win situation for all. Blockchain technology simply serves as a distributed ledger that promotes and empowers cryptocurrencies or digital assets such as Bitcoin and Ethereum, among others. Most of the people see Blockchain technology as the underlying technology supporting bitcoins and other popular cryptocurrencies, which is partially correct. Blockchain is beyond just a technology powering bitcoins and holds tremendous potential to deal with major challenges being faced while making digital transactions. Blockchain technology allows faster transactions at low costs in such a way that nobody owns or controls the cryptocurrency. In many developing countries, blockchain is still in its nascent stages, and at this stage lack of regulations will lead to increasing doubts on security concerns and how one can effectively deal with pre and post cyber-crime attacks. In such a scenario, it becomes imperative for government authorities to take appropriate measures in order to build adequate technology infrastructure to best meet the demands of digitally-driven businesses. Blockchain applications should be supported well with better safety measures to protect data and digital assets from the attack of cyber criminals. Blockchain applications offer solutions that require changes or complete replacement to existing systems and hence initial high capital costs. 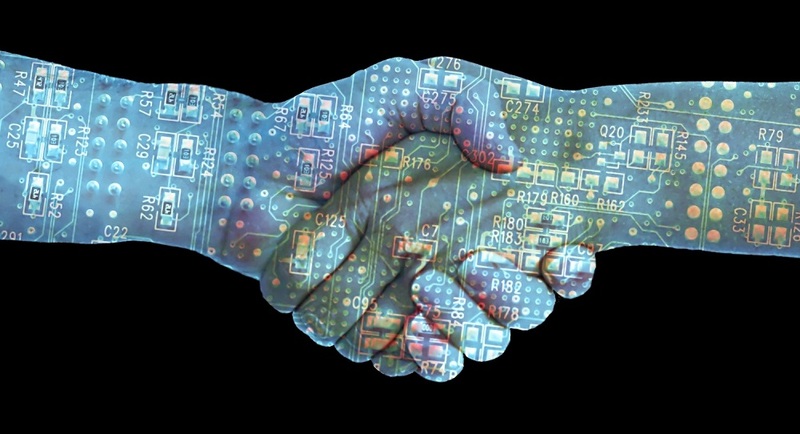 Blockchain is not just a mere technology; it’s a way to redefine innovation and automation. The technology is capable of increasing automation across various different sectors while reducing manpower burden to a great extent. Blockchain creates a decentralized platform and so users can make transactions without human intervention, provided the machine is working properly. Having said this, it has always remained a matter of debate, “Does manpower can be replaced with machines?” The answer to this question may vary accordingly, but in this context, it’s quite difficult to draw any conclusion. Blockchain cannot replace manpower but yes, it can effectively make the process of making exchanges or transactions easier, and faster than ever before. Blockchain-based smart contracts are expected to play the role of lawyers, and help you exchange money, property, or anything of great value in a transparent, conflict-free, and secure way while avoiding the services of an intermediary. With right understanding of blockchain as a technology, and required investment in adopting digital business models, enterprises can leverage the technology to create new revenue streams. As Blockchain supports automation and machine learning, it subsequently contributes to increasing operational efficiency. It further results in faster operations and lower costs as it will eliminate any third party intermediaries and overhead costs associated with them. It is the foremost responsibility of enterprises’ CXO level professionals to analyze all the possible aspects of the Blockchain technology while gaining deep insights into the operating models to achieve the desired goals of the organization. Enterprises today are adopting continually evolving technologies in order to stay ahead of the curve and technologies like blockchain help them in building the appropriate business model that facilitates exponential growth of their businesses worldwide. Digital business model is not just a buzz word in the world of Information Technology. Digital business model is a way to make the best use of cutting-edge technologies to deliver quality products and services in order to ensure customer satisfactions and earn maximum profits. Blockchain allows businesses to make any project a huge success with talented manpower that actually understands how to play with technology to fulfill size and growth ambitions of respective organizations. At present, most of the people assume that Blockchain is a distributed ledger technology, which is partially true. Blockchain is just one particular type of distributed ledger that holds no central authority. What makes distributed ledger and blockchain different is the fact that Blockchain is simply a chain of Blocks. However, this is not the case with distributed ledger. Unlike Blockchain, a distributed ledger does not require any chain to store records of different users and any proof of work and offer. This is how the two of them are slightly different from each other and so their applications also vary accordingly for different projects. With blockchain, transactions get executed exactly as the protocols will command and as any changes to public blockchain is publicly viewable, thus creating a transparent system. Lastly it will result in faster transactions. The implications of Blockchain are far beyond financial sector, and it is poised to transform the HR technology landscape across the globe.